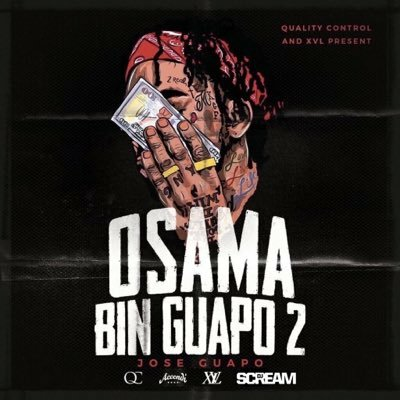 Presented by Quality Control and XVL, Guapo drops the 2nd installment to his 'Osama Bin Guapo' series. Hosted by DJ Scream with production by Spinz, Beat Monster, Yung Lan, Ricky Racks, Cassius Jay, Beat Billionaire, Stack Boy Twan, Metro Boomin and Ke. With features by XVL's Shot and Hendrix, Lil Yachty, Blac Youngsta and PNB Rock. Stream the 15 song project now!